Hello! 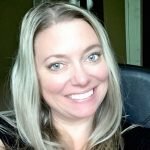 My name is Kelly and I have been teaching for 15 years. I have my ARCT in Vocal Performance and RCM Grade 10 piano. I also attended Sheridan College for Musical Theatre and McMaster University for Music. I teach vocals, piano, theory, song writing as well as audition coaching. I have many students currently working in the industry. If you are beginner or advanced I’m sure we will get along great as I always bring a smile with me to my lessons!